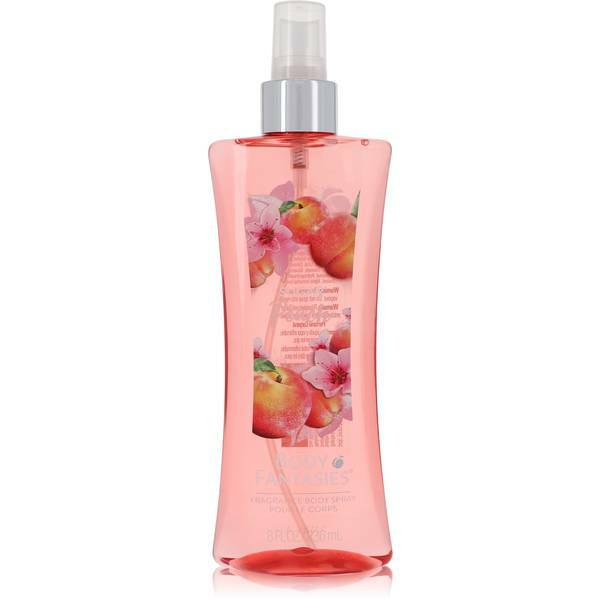 Body Fantasies Signature Sugar Peach Perfume by Parfums De Coeur, Body Fantasies Signature Sugar Peach is a fruity and floral fragrance spray for women that was launched in the 2000s. The fragrance spray is ideal for every day wear and perfect for those who prefer a sweet spritzer of fragrance, as opposed to a headier perfume. Fresh citrus notes open the fragrance for a refreshing start. At the heart of the fragrance is the enticingly juicy aroma of peach and the pure sweet scent of sugar. Read More Read More Soothingly warm rose, lavender, cedar, and amber finish off the fragrance with a strong base. Established in 1981, Parfums de Coeur is an American beauty and wellness products brand. Based in Stamford, Connecticut, the company designs fragrances, body washes, lotions, and other personal care items that are sold at drugstores, grocery stores, and club retailers internationally as well as online. Through their Body Fantasies and other lines, the company has released over 30 fragrances for both men and women. All products are original, authentic name brands. We do not sell knockoffs or imitations.